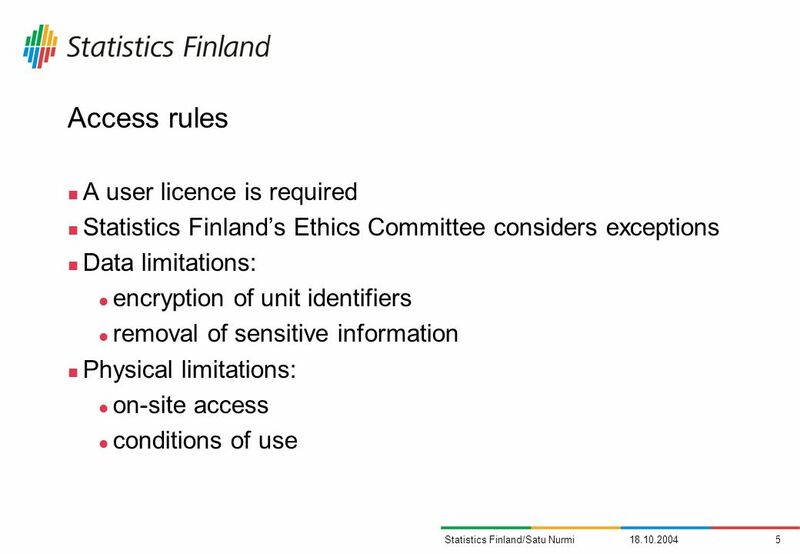 Access to enterprise data at Statistics Finland: introducing the practices of the Research Laboratory Satu Nurmi OECD Conference: Assessing the feasibility. 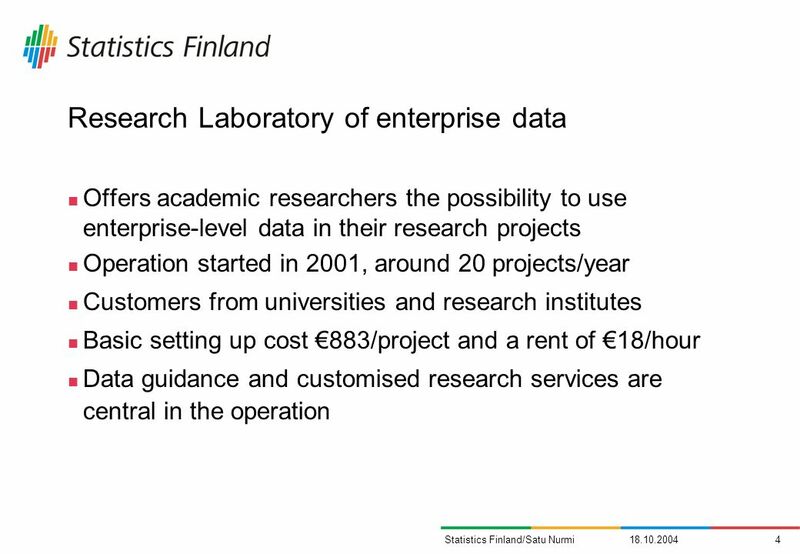 Download ppt "Access to enterprise data at Statistics Finland: introducing the practices of the Research Laboratory Satu Nurmi OECD Conference: Assessing the feasibility." Trend evaluation and comparison of the use and value of GL in core demography and computer science journals Rosa Di Cesare, Roberta Ruggieri, CNR-IRPPS. 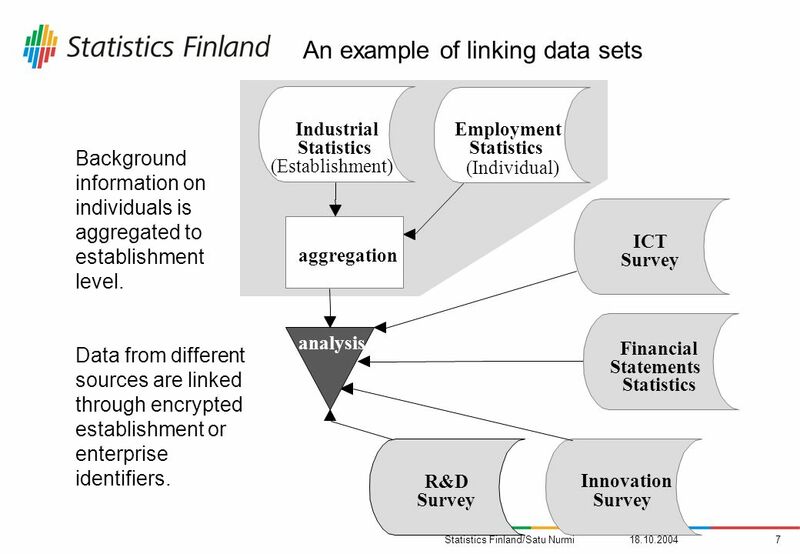 1 Kauffman Firm Survey Tim Davis Entrepreneurship Indicators Project OECD ISTAT-Eurostat-OECD Seminar on Entrepreneurship Indicators Rome, December 6 and. 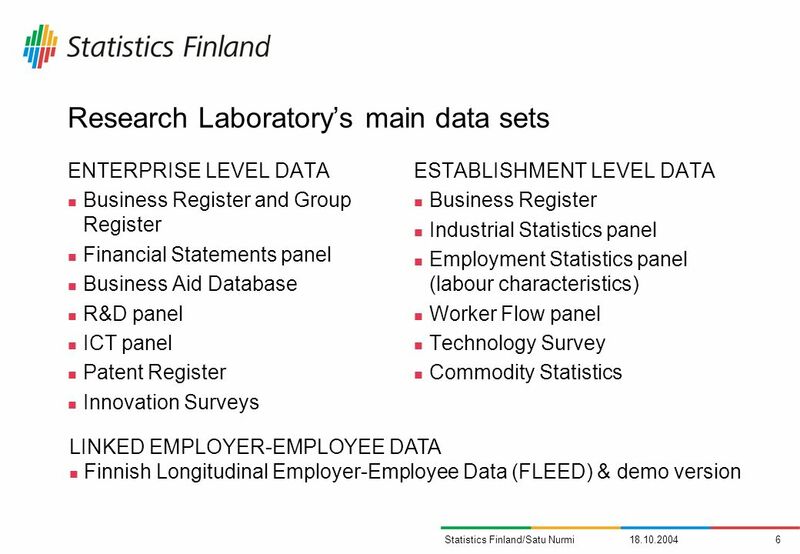 Entrepreneurship Indicators Project Developing International Data on Entrepreneurship, Entrepreneurs and Entrepreneurial Firms Tim Davis OECD Statistics. 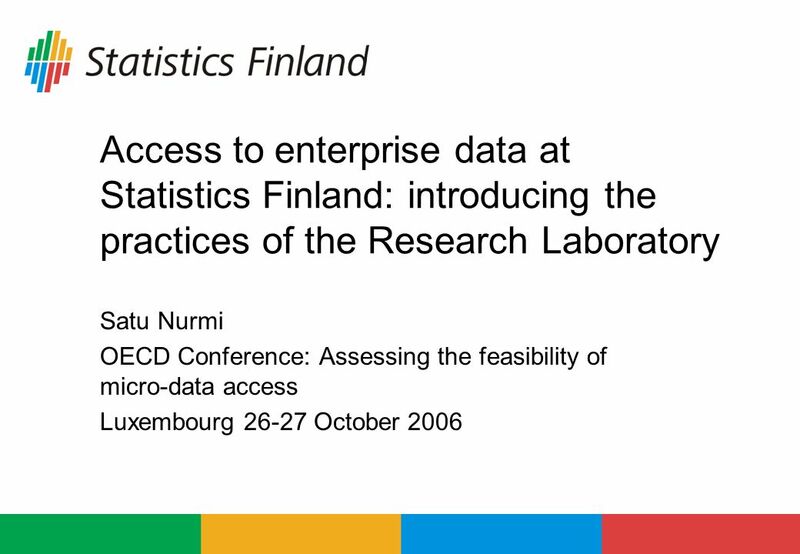 1 Luxembourg, October 2006 Nadim Ahmad, Statistics Directorate, OECD OECD Conference: Assessing the Feasibility of Micro-Data Access Proposal for. Linking Trade Data to Business Statistics Exporter Register: 1993 to 2004 Importer Register: 2002 Results International Trade Division Statistics Canada. 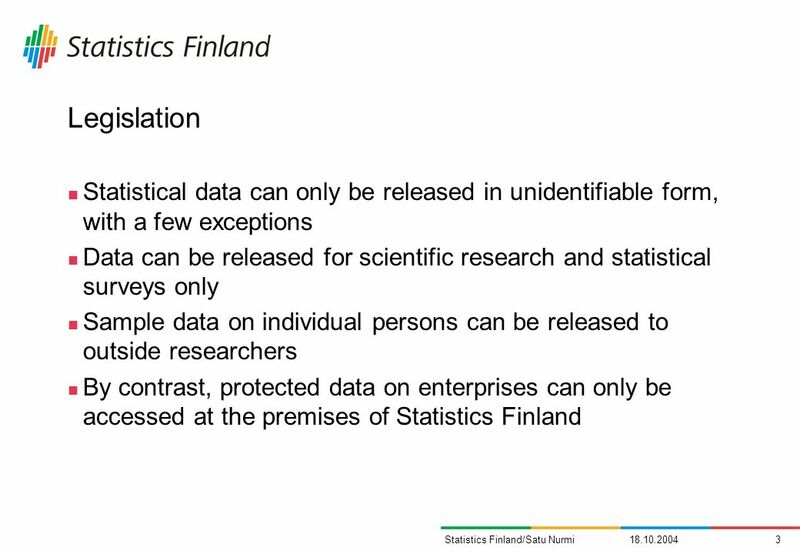 Statistics NZs experience in using Administrative Data in an Integrated Programme of Economic Vince Galvin General Manager Strategy & Communications. The Business Register Research, Design and Evaluation Division Statistical Institute of Jamaica. Research & Experimental Use of Patented Inventions Brian Opeskin Australian Law Reform Commission AAAS Workshop, Washington DC, October 2004. 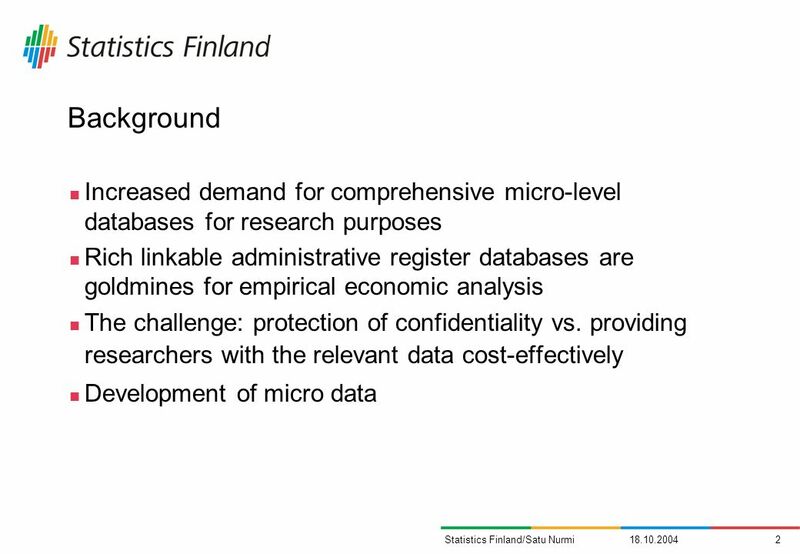 1 Luxembourg, 26-27 October 2006 Nadim Ahmad, Statistics Directorate, OECD OECD Conference: Assessing the Feasibility of Micro-Data Access Discussion Session.